The year was 1928, which seen Natacha Rambova take life in a different direction by relocating back to the East Coast and make a clean break from her former life in Los Angeles. Natacha beliefs in automatic writing and Spiritualism grew and she became an expert on metaphysical teachings. During this time, Natacha also became a famous dress designer with a studio on 5th Avenue she became an established artist who immersed herself with the arts movement of the times. Natacha built a network of bohemian friends writer Talbot Mundy, his wife Dawn Allen, and spiritualist George Wehner who all were attendees at her weekly séances. In 1929, after a trip from Europe Natacha convinced all three to rent rooms at the Master Apartments Building. The skyscraper’s first three floors originally held the Roerich Museum, the Master Institute of United Arts, and the Corona Mundi International Center of Art. These three organizations were inspired by Russian artist and mystic Nicholas Roerich and his wife Helena, and were largely funded by a wealthy financier, Louis L. Horch. But it was the upper-floor penthouse which was used for private gatherings and occult explorations. It was here that Natacha’s circle of friends grew to include Manly P. Hall a famous follower of Madame Blavatsky was a regular participant of lectures and classes he gave at the museum that was attend by Natacha, Talbot Mundy and the Roerich’s. In 1928, Natacha became intimately involved and “unofficially engaged” to Svetoslav Roerich the son of Nicholas Roerich. 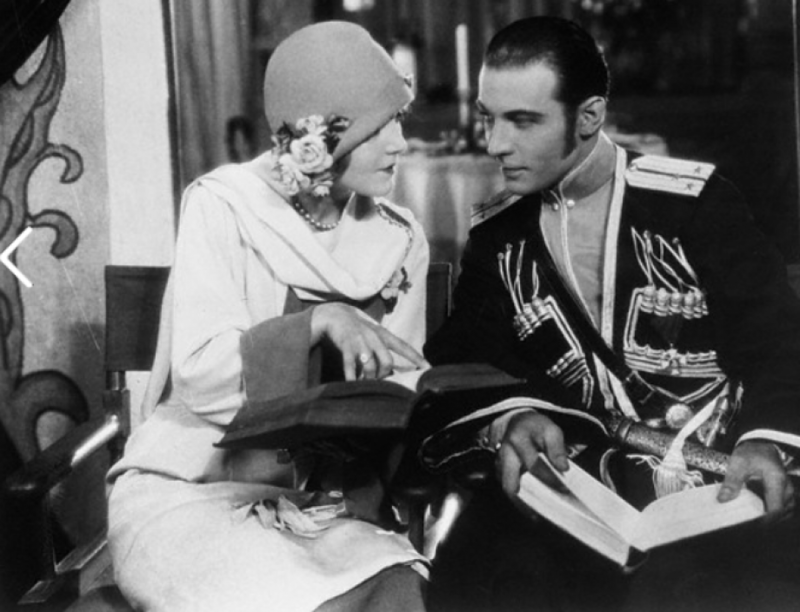 It is interesting to note that Svetoslav looked allot like Natacha’s former husband Rudolph Valentino. This engagement did not sit well with Svetoslav’s father who decided to send his son to the Himalayas on an expedition. Natacha became very angry and threaten to sue for “alienation of affection”. Eventually Natacha moved on. After the end of World War II seen Natacha dump her belief in automatic writing and spiritualism for yoga and scholarly archeological pursuits. Natacha Rambova’s mother a Theosophist who regarded herself as a spiritualist trendsetter have Natacha’s friend Manly P. Hall a large commissioned portrait of a Russian sphinx that belonged to Madame Blavatsky and hung in her séance room at her French chateau Juan les-Pins for years.